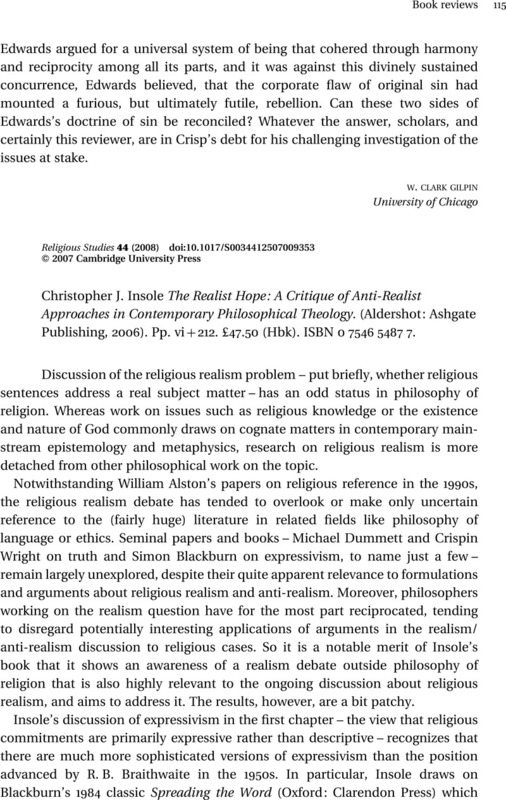 Christopher J. Insole The Realist Hope: A Critique of Anti-Realist Approaches in Contemporary Philosophical Theology. (Aldershot: Ashgate Publishing, 2006). Pp. vi+212. £47.50 (Hbk). ISBN 0 7546 5487 7.